Great variety of classic and modern rock! 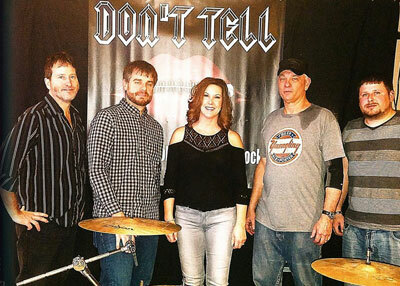 Don't Tell is a high energy classic and modern rock band. We are composed of experienced male and female musicians from the local music scene. Our dedication to a professional event that includes sound, lights, and an engaging energetic performance is guaranteed to get people on the dance floor. No drama here! Just an awesome time! Call, text, or IM to book us!